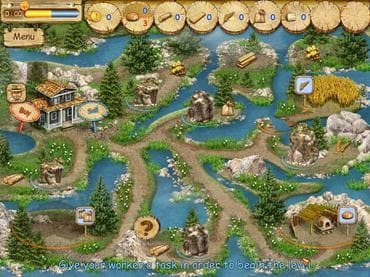 Pioneer Lands is unique game with a fascinating combination of business simulation and strategy set on the frontier of America's Old West! This is a real western among casual games! It's a story about the brave pioneers who lived and tamed America's frontier. You are the first to make a long journey, full of dangers and adventures. You're mission is to explore new lands! Eight original locations and 99 levels with an incredible range of tasks await you! Welcome to the Old West where many adventures await you! Free Game features: - Exciting combination of economic strategy and simulation; - 99 levels of thrilling gameplay; - 23 resources types; - Unique system of achievements ; - Build your own unique farm. If you have questions about Pioneer Lands game, please contact us using this form.